Please note, the maximum number of results returned by a search is 250. You will be alerted if your search exceeds 250 results, in which case you may want to use additional filter criteria. When searching by Company, set the Region and Type filters to 'Any' for the best results. 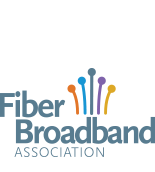 If you are a Fiber Broadband member and you are interested in looking for other individual members, please login and visit the individual member directory.